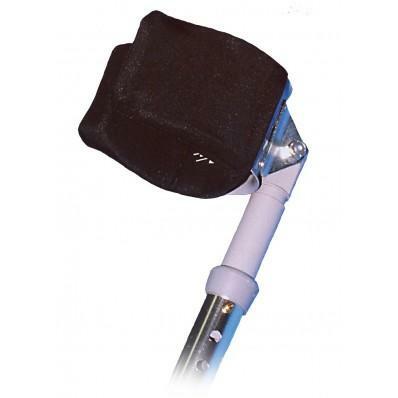 Crutch-Mates are made from a unique high glycerine gel designed to reduce pressure points and improve comfort. 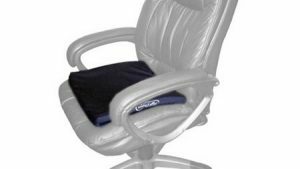 Crutch-Mate pads will not disintegrate, will help prevent friction, reduce the chance of skin breakdown and will provide long-lasting comfort. 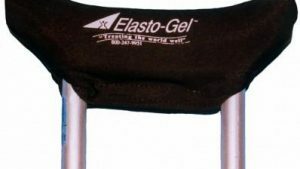 Crutch-Mate and Crutch-Mate II replacement arm pad and hand grips are manufactured using a high glycerine content gel which is 3/8″ thick. 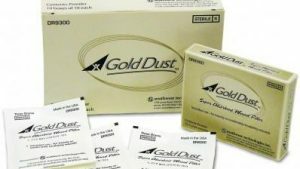 This patented gel formula ensures that the arm pads and hand grips will retain their shape and effectiveness. Crutch-Mate Crutch-Mate II arm pads and hand grips will not dry out, crack or split. In addition, this resilient gel helps prevent friction and skin breakdown. The arm holders on the crutches were a little big on my arms, thus I felt unsteady. I bought these for the gel pads and they worked out great. These added comfort and bulk and I felt secure using the crutches. I DO like them but they are not qiite big enough. Next size would be too large. “I have a set for my crutches because they are old without coating and I don’t have enough meat on my arms to keep the veins from popping under the pressure and dragging. No problems anymore. Bought a set for my uncle whose coating had worn off and he thanks me every time he sees me. Comfortable: YES, YES, YES!!! 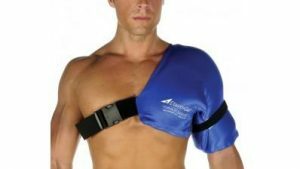 I couldn’t use my crutches without these… the pads DO save my arms! 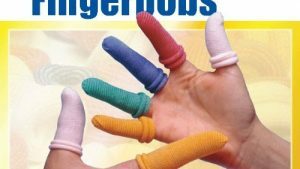 They are fantastic for comfort!! Waterproof: NO! Even SWEAT ruins them eventually! And as for another false claim, they WILL dry, crack, split & tear within 1-2 yrs! So overall, they are a great product for comfort, that sadly you will need to replace every year or so, because they fall apart too easily! So look for the lowest priced option you can find, all the Crutch-Mate/Elasto-Gel forearm crutch pads are the same… don’t be fooled into paying more by false “waterproof” titles! I could have gotten this exact same pair for less had I known the waterproof claim was false!. Perfect fit. Comfortable. Cleans well. I started on forearm crutches 1.5 yrs ago I reordered anot her and these pads well the way thereally connected this year makes it rounder so it doesn’t fit right. Fits good on older 4 bolt armband not 2 bolt! Q Do these have a lot of cushion and how long before the cushion wears out? Q what is the difference between crutch mate I and II that I see for sale?